“Melts in your mouth, not in your hands”. 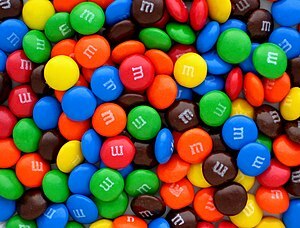 They were made famous by the makers of M & M’s. Sometimes God reveals things to us. Some things that may be unpleasant. It is as though we have been wrapped in a hard shell. The hard shell has served a purpose. It has protected and preserved our insides as God has been working on them. a crack appears in that shell. It gets larger, and the insides begin to melt. The shell protects us until we have processed enough to be able to handle what is next. A changing of our old heart into a new one. “If you had tried to tell me this two years ago, I would have walked out of here. Today I want to hear it”. He was not finished with his processing. His hard shell was still in tact. His heart is now able to be melded in with God’s. Here’s what I want you to get. Do not despise your process. Go at God’s pace for you. Your insides are changing by His power. Soon, you will melt in His hand. 1 Peter 5:6 (MSG) So be content with who you are, and don’t put on airs.